Abu Dhabi: A Sudanese woman of determination says her involvement in weightlifting has unleashed her physical and mental strength. Esra Musa, her carer for the last six months, also attributed Al Hassan’s rise to dancing, by saying she was a good zumba dancer. “But I felt the power since I started doing weightlifting,” said Al Hassan. The Sudanese can easily lift 60kg despite only weighing 57kg herself, and is expected to perform well in Wednesday’s deadlift competition. She said her family had encouraged her dance and lift weights, and her mother and two of her five sisters have accompanied her to Abu Dhabi. “The family and my carer [Musa] keep me going,” she said. Musa said she started volunteering for people of determination when she was a final year medicine bachelor of surgery student at paediatric hospital last year. 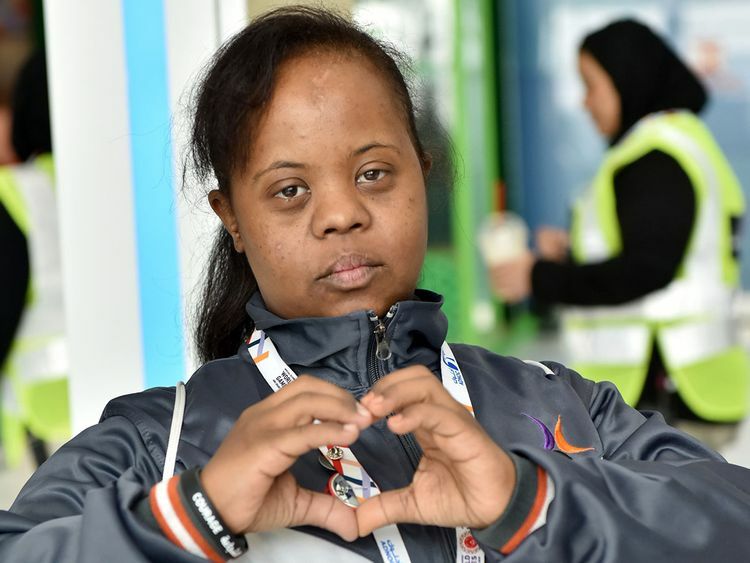 Even after completing the course she continued to support the athletes and chose to be Al Hassan’s carer. “I was astonished to know how strong and talented she is. Most of the people of determination have such amazing talents and I want to support them unleash their potential,” said Musa.